By Supplying Oxygen to patients,the Oxygen Therapy machine can help the treatment of cardio vascular and cardiovascular diseases, respiratory diseases, chronic obstructive pneumonia etc. It is also useful for rehabilitation of an abnormally low amount of Oxygen in the body tissues of patients. Oxygen absorption can improve physical oxygen supply condition. This is to achieve the purpose of oxygenating care. 5 Liter Home Oxygen Concentrator is suitable for the middle-aged and elderly, people with poor physical fitness, pregnant women. It is also useful for the people who suffer different degrees of physiological hypoxia. It can also eliminate fatigue. It restore somatic function after heavy physical or mental exertion. 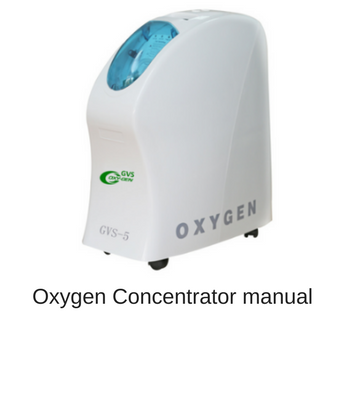 GVS 5L Medical Oxygen Therapy Machine uses air as raw material and high-quality molecular sieve as adsorbent, and adopts the principle of Pressure Swing Adsorption to directly separate oxygen from nitrogen at normal temperature, oxygen of high purity is thereby produced. 1. Plastic casing, novel design, simple operation, stable operation, easy maintenance. 2. Generate oxygen adopting physical methods,with air raw material,without the use of additives,only needing power supply,with low cost. 4.Our Electric Oxygen Machine mainly consists of principal machine,flow meter and humidifier bottle. 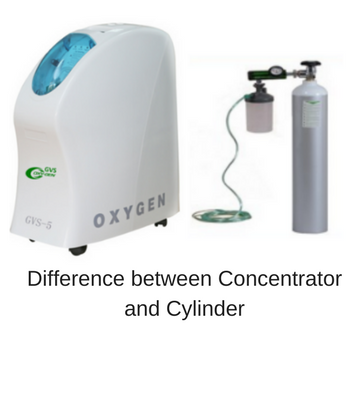 Oxygen absorption can improve physical oxygen supply condition and achieve the purpose of oxygenating care. It is suitable for the middle-aged and elderly, people with poor physical fitness, pregnant women, students and other people who suffer different degrees of physiological deficiency in the amount of oxygen reaching the tissues . It can also eliminate fatigue and restore somatic function after heavy physical or mental exertion. Add water to humidifier bottle. Pull out the silicone rubber tube from the bottle. Take out the bottle. Add proper amount of pure water to the bottle. The water level shall be between the maximum (MAX) and minimum (MIN) water lines, and then tighten the bottle cap,put into the transparent cover and insert the silicone rubber tube. Power on: Plug in the power cord and press the “Power Switch”. The “Power” indicator will be on. Medical oxygen concentrator enters into the ready-to-start state. And the LCD is powered on and displays “Care for you”, which means that the medical oxygen concentrator enters into the ready-to-start state. Continuous/timing oxygen concentration: Press the “Oxygen/Timing” button, oxygen concentrator will be started and enters into “Continuous” oxygen concentration working state. The LCD displays the total use time and other contents of oxygen concentrator. After medical oxygen concentrator is started, press the “Oxygen/Timing” button again, medical oxygen concentrator will enter into timing oxygen concentration state, and the timing is 30 minutes, for each press of “Oxygen/Timing” button, preset time will be increased by 30 minutes (maximum preset time is 120 minutes); users can preset the time for oxygen concentration as required. After a timing of 120 minutes, press the “Oxygen/Timing” button again. Oxygen concentrator without atomization function will stop oxygen concentration, while oxygen concentrator with atomisation function will enter into atomization mode. Press the “Oxygen/Timing” button again, it will stop oxygen concentration. Adjust flow: Open the transparent cover, slowly rotate the flow control knob to the desired flow rate (the reading shall be subject to the center of the black float)in the direction marked on the “Flow control knob”. Meanwhile, there are bubbles in water in humidifier bottle, there shall be oxygen output from “Oxygen Output”. Start oxygen absorption: Insert oxygen tube in the “Oxygen Output” of humidifier bottle, close the transparent cover. After confirming that there is oxygen output from oxygen tube nose, wear the oxygen tube to start oxygen absorption. Automatic shutdown: After reaching the preset oxygen concentration time, oxygen concentrator will automatically shut down. Shut down immediately:During operation of Home Oxygen Concentrator, press the “Power Switch” on top cover, medical oxygen concentrator will shut down immediately. For more information watch the video. After medical oxygen concentrator is started and concentrates oxygen for 10 minutes, during normal operation, “Power Light”, “Purity Light” and “Trouble Light” are green. 1)Power failure alarm : When grid voltage is suddenly interrupted, medical oxygen concentrator will stop working and send alarm sound,trouble light will be red, please use after power on. 2)Low voltage alarm : When grid voltage is less than 190 V ± 10 V,or 95 V ± 5 V, medical oxygen concentrator will stop working and send alarm sound. Trouble light will be red. LCD displays “Low Voltage”. It is recommended to install voltage stabilizer. 3)High/Low pressure alarm : When circulating system pressure is high, medical oxygen concentrator shuts down and sends alarm sound, trouble light is red. When circulating system pressure is low, medical oxygen concentrator sends alarm sound and trouble light is red. In case of high pressure or low pressure alarm, please use standby oxygen and contact the dealer for inspection or repair. The product from date of sale, under normal use and storage conditions, the warranty period of this product is 24 Months or 5000 Hrs (whichever is earlier). Wearing parts and consumables: atomizer, filtering foam, filtering cotton etc..
Standard Accessories: Oxygen Concentrator , 2 Oxygen tubes, humidifier cup, 2 Primary air suction filtering sponge, 2 Secondary air suction filter, User manual, Warranty Card. 5L GVS oxygen concentrator is very good quality product , easy to use, Nice customer support. Easy to operate, working great GVS 5L oxygen Concentrator. Will strongly recommend. Wonderful shopping experience with medicalbulkbuy will give great customer support with best quality products online and secure payments also. As of my experience this is only the best price in the market when I compared to others. A great quality product I was received and good shipment. Hello all, I was purchased this product recently so working fine and great delivery in time, no charges for the home delivery. This 5L oxygen concentrator working great, till date didn’t get any issues. Good customer care. Very satisfied with the GVS 5L Oxygen Concentrator. Less noise comparatively with other machines. Great customer care. Working great, Easy maintenance, no complaints, using with stabilizer. GVS Oxygen Concentrator is working very well, its meeting our needs. Q How can we use the machine when the patient wants to go to rest room ? How can you help us to use ? Good question. The machine should not be taken to the rest room. For this purpose we have a solution , we have 7.6 meter oxygen cannuala at WWW.medicalbulkbuy.com and you can place order separately for that to use the machine in rest room or Bath room. Using this you can keep the machine away from water short circuit and (Keep out side the Room) and use the flow of oxygen. Contact our customer care by chat for 7.6 meter oxygen cannula in case of any difficulty. Q Can it be used in car and Ambulance ? This can not be used in car or Ambulance. Only portable Oxygen concentrators can be used in car. Q Will it work on a battery ? Q What will be the cost of the filters after sales warranty period ? The cost of filters is around 450/- Rs. We are providing additional filter with the machine. There is one external filter(square type ) and internal filter. Dust is collected at external filter and then passes through the internal filter. Machine attendant has to maintain the filters clean so that there will be less load on the machine. This leads to longer life of the machine. Both the filters are washable with tap water and air dried and to be kept back. One has to take care there will be no moisture in the filters. Q What are the precautions to be taken when we shift from one city to other ? Keep the original packing in store and pack in original packing and try to transport in vertical position and also take proper care while lifting and and putting it down in vehicle. Q How can we move from one place to other place ? Does it have wheels below the machine ? Yes sir it has wheel at below the machine and one can roll the machine from room to other. We suggest just hold and pull the machine as it is easy. pulling by power cord leads to loose contact and pulling by oxygen cannula leads to damage to humidifier bottle. Q Will it come with Oxygen Analyser ? It does not come with Oxygen Analyser. We test the concentartors Prior to dispatch to keep it in our records. A It provides 93+/- 3 % purity at all levels from 1 Ltr to 5 ltr per min. 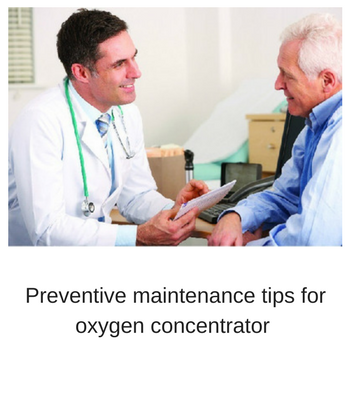 Q What are the general precautions to be taken while using the GVS Oxygen Concentrator ? Q what are the parts to be changed regularly and how long can I use the machine?